Consumer demand • State agency identifies communities most in need of new outlets. Chris Detrick | The Salt Lake Tribune Beer for sale at the Utah Wine Store, 280 Harris Ave S, Salt Lake City, Friday January 22, 2016. 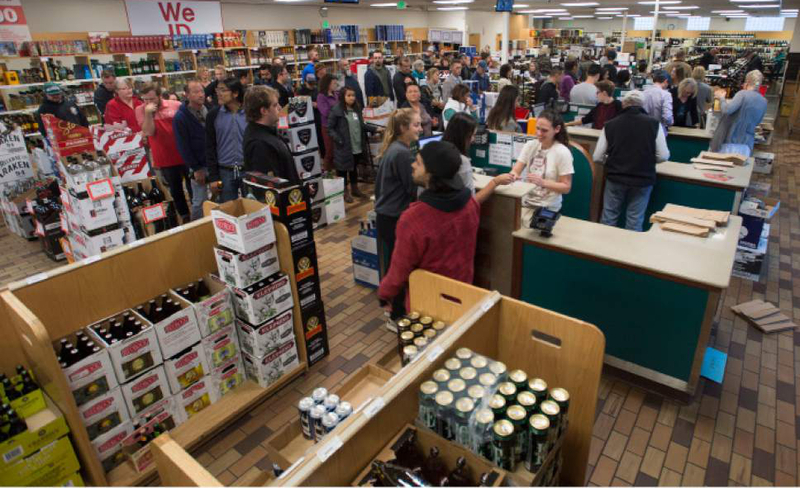 Steve Griffin | The Salt Lake Tribune Thanksgiving shoppers form lines at the Sugarhouse State Liquor store in Salt Lake City last week. Steve Griffin / The Salt Lake Tribune Thanksgiving shoppers form lines at the Sugarhouse State Liquor store in Salt Lake City Wednesday November 23, 2016. Steve Griffin / The Salt Lake Tribune Thanksgiving shoppers form lines at the Sugarhouse State Liquor store in Salt Lake City Wednesday November 23, 2016. 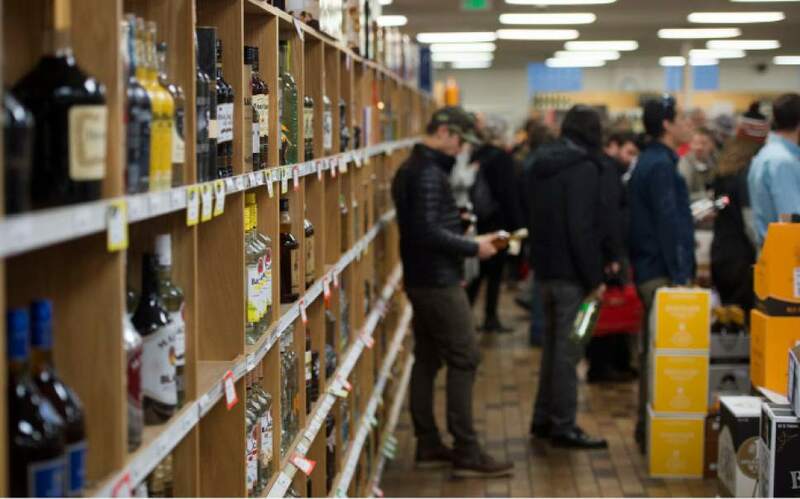 To keep up with a booming population and increasing alcohol consumption, Utah needs to build more liquor stores in targeted areas of the state, specifically along the Wasatch Front, a new study released Tuesday shows. The report, conducted for the Utah Department of Alcoholic Beverage Control (DABC), lists 12 areas most in need of retail stores. Riverton and the surrounding area, was at the top of the priority list, followed by the communities around Layton, Pleasant Grove, Sandy, Taylorsville, Harrisville, Roy, West Valley City, Bountiful, Draper, Ogden and Cottonwood Heights. The prioritized list does not necessarily mean that a new store should be placed in Riverton, but rather somewhere in southwestern Salt Lake County, said Scott Aylet, a financial analyst with Zions Public Finance, which conducted the study for the DABC. The report was presented to the state liquor board during its monthly meeting. Similarly, the Layton and Bountiful market areas are both priorities and a "strategically located store in this area, perhaps near Farmington or Kaysville, could serve both markets," the study notes. "This clearly demonstrates the need [for more stores]," said commission chairman John T. Nielsen after the presentation. He said the DABC will use the data to convince the state building board and lawmakers that more stores area needed. "The more we make it [liquor] available, the better the revenue stream to the state." Analysts from Zions Public Finance, a division of Zions Bank, looked at several factors to develop the priority list, including population projections, population density and liquor sales per capita. Utah&apos;s population, currently at 3 million, is expected to jump to 3.9 million in 2030 and 4.5 million by 2040, the study shows. Liquor consumption also is on the rise. Utah&apos;s per capita consumption increased from 2.37 gallons in 2010 to 2.75 gallons in 2015, the study said. Nationally, consumption per capita also is on the rise. Identifying market areas  rather than individual cities  should help the DABC, which has had trouble finding cities willing to host new stores, said executive director Sal Petilos. "The study helps us identify market areas where we need additional services." Before any new stores are built, the DABC must win approvals from the state building board and the Legislature to issue revenue bonds, said Petillos. The DABC also must get approval from the cities affected. 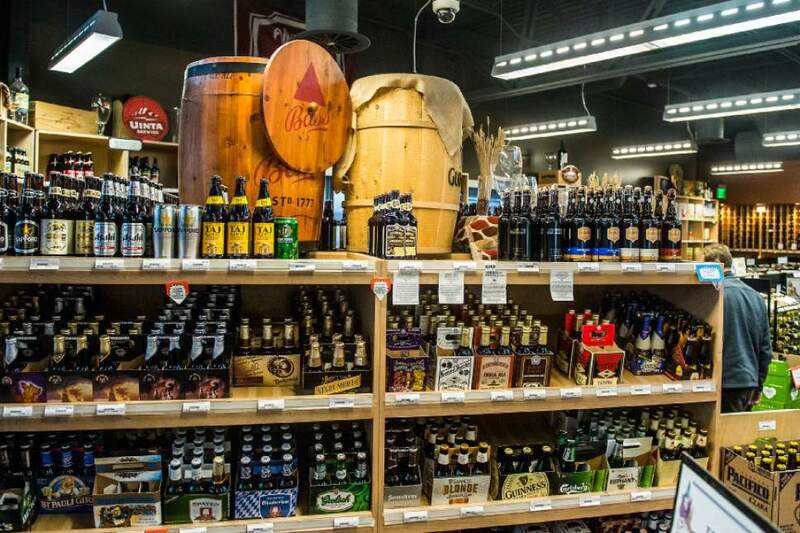 Utah currently has 44 liquor stores, with two more in the works. A second West Valley City store should open in spring 2017, while the DABC and the Division of Facilities Construction and Management (DCFM) are looking for property in Syracuse where a store can be built. Under a legislative formula allowing for one liquor store for every 48,000 citizens, the state could have 63 liquor stores  or 19 more. Aylet said the Zions study is consistent with one conducted three years ago by the Eccles School of Business at the University of Utah that shows the state needed 12 more liquor stores along the Wasatch Front  including six on the west side of Salt Lake County  to keep up with liquor sales and a growing population. Earlier this year, lawmakers questioned whether that study was still accurate and asked for a more up-to-date analysis. According to the Zions report, there are positive fiscal impacts for communities that do have liquor stores. Average sales per square foot for liquor stores is $1,082  higher than the averages for Wal-Mart ($423) and Sam&apos;s Club ($680) and on par with Costco ($1,100). "These higher sales per square foot create positive fiscal impacts for the communities in which they are located," the study says. In Utah, communities receive one-half of 1 percent (0.50 percent) of total sales generated, while counties can receive one-eighth of 1 percent (0.125 percent). With $366 million in liquor store sales in 2016, the total point-of-sale distribution to cities was more than $1.83 million, the study notes. Counties, if they have enacted the local option sales tax, were eligible for nearly $500,000 in sales tax revenues in 2016.